Also referred to as the common rat, sewer rat, brown rat and water rat.The Norway rat is the larger of the two pest rats and has a thickset body, blunt snout, small close-set ears and a tail shorter than its body length. It normally lives 9-18 months and may have 5-6 litters per year (each with 8-10 young). The young achieve sexual maturity at 3-4 months. Clearly, its reproductive potential is very high. The Norway rat is very widespread and is possibly the most economically detrimental pest rodent in Australia. It infests warehouses, factories, flour mills, poultry farms, garbage dumps, shops, supermarkets, domestic premises, grain storage facilities, sewers, and many other locations that offer shelter and food. Outside buildings, these rats mostly live in burrows, which tunnel into stream banks, under buildings, under rubbish heaps and so on. Burrows commonly have ‘bolt holes’ hidden under debris or grass to facilitate fast emergency exits. They may enter buildings just for food, reside in buildings during colder winter months, or live in buildings all year round. Nests in buildings are mostly located in wall voids, roof voids and other parts of the construction that offers a secretive, undisturbed area for shelter and access to food and water. Also referred to as the black rat and ship rat. The roof rat is the smaller of the pest rats and is of slighter build. It has a more pointed snout, large prominent ears and a tail longer than its body length. It normally live 9-18 months and may have 4-5 litters per year (each with 6-8 young). The young achieve sexual maturity at 3-4 months. 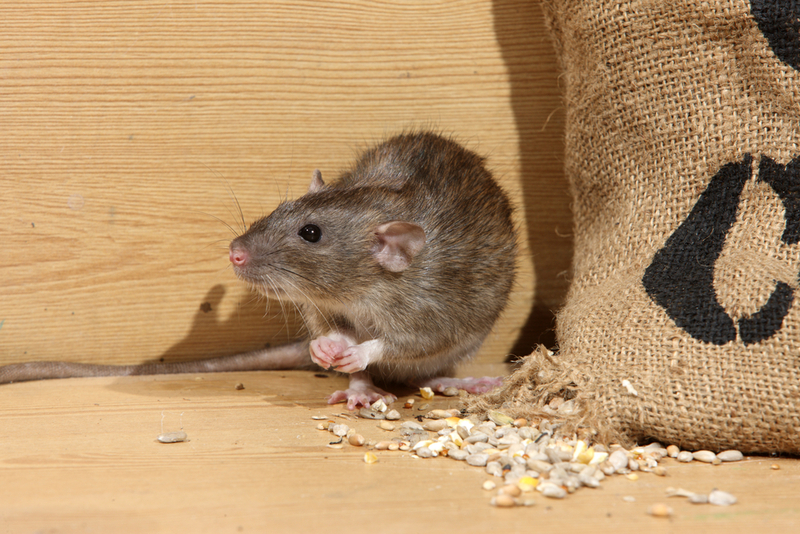 The roof rat activity is mostly restricted to the indoors of premises and to structures around seaports. While Norway rats are very suited to rural life, where burrowing is advantageous, roof rats tend to be more restricted to city life, where their excellent climbing abilities avail them to numerous nesting sites, often in the upper parts of tall building. This ability also facilitates their crossing from one building to another via connecting cable. Within buildings, roof rats are likely to nest in wall and roof voids, but they may rage and feed freely all over the building, Out of doors, they may nest among vines and trees, but they seldom burrow. They commonly infest ships and boats. Although roof rats are usually described as being omnivorous, in practice they seem to consume a high proportion of vegetable and fruit material. Where they have ready access to foods with high moisture content, they have a much reduced need for free water. 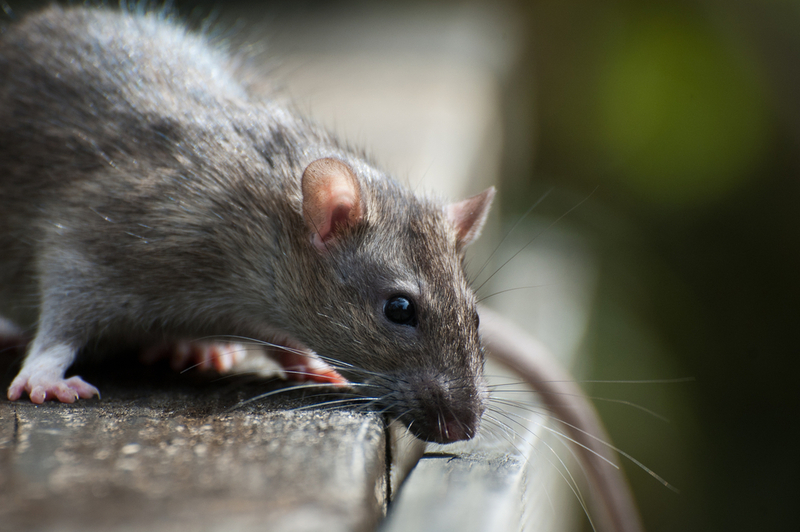 The roof rat can live in somewhat similar locations to those preferred by the Norway rat; but if territories overlap, it is likely that the roof rat will be driven out. Also referred to, euphemistically, as the field mouse by people who don’t want to admit they have the pest mouse. The house mouse is small and has rather large ears, a pointed snout and a tail at least as long as its body length. House mice living indoors are usually a darkish grey colour, with lighter grey on the belly, while those living mainly outdoors tend to be more sandy or yellow-brown colouring – hence the references to ‘field mice’. They tend to live for about one year and may have 6-10 litters per year (each with 5-6 young). The young achieve sexual maturity at about six weeks. The house mouse may live indoors or out of doors, sometimes entering buildings only when climatic conditions are adverse. Being such small animals, their access into buildings is probably easier than for rats, and a greater range of nesting sites is available to them. Typically, within buildings they may nest in wall voids, cupboards, roof voids, stored foods, furniture and many other locations. Out of doors, they live in burrows. In their general behaviour, mice are much more curious and exploratory than rats. They are very good climbers, jumpers and swimmers, although they do not seem to swim very often. In their feeding habits, mice are generally regarded as being quite omnivorous. A variety of foods are acceptable on baits or traps, depending on the main diet of the resident population. They are well adapted to low water intake and can live on just the moisture in grain without supplementary intake of water. Preferably, though, they seem to enjoy dry cereals if free water is available. Mixing of certain baits with water can increase the attractiveness. Mice feed mostly around dusk and during the night, but if the area is relatively undisturbed, they will feed during the day as well. They seem to prefer to eat small amounts of food at various locations and at frequent intervals. 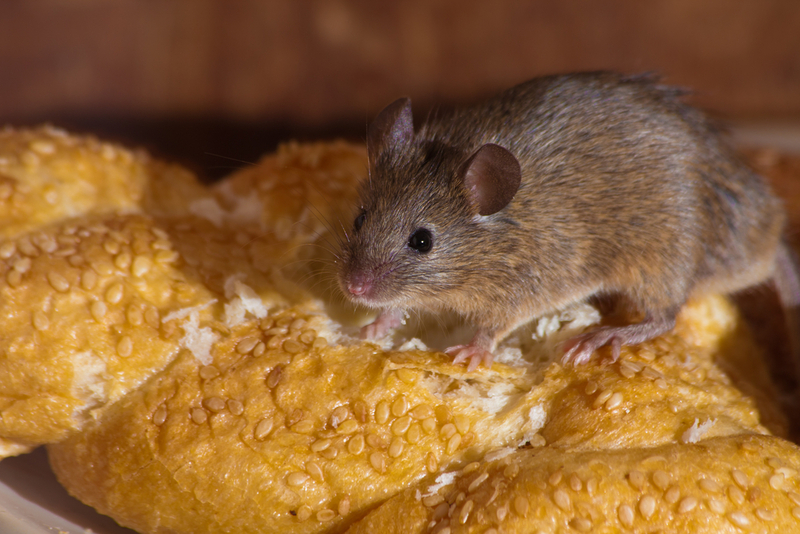 In most cases, mice are lot suspicious of new food (baits) as rats. In rural areas, the occasional combination of mild weather, abundant food and shelter, and a reduction of natural enemies may cause mice to multiply to plague proportions, and then to migrate. Massive migrations can cause very significant damage and losses on farms and inside buildings.